Geoff Holt MBE is a record-setting yachtsman & a disability business & sports ambassador. 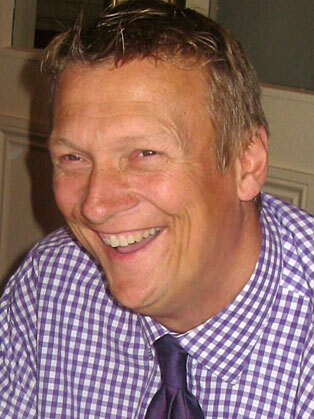 Geoff's entrepreneurial skill as CEO of Wetwheels, a Community Interest Company (CIC) operating fully accessible boats, was recognized in winning the prestigious Stelios Award for Disabled Entrepreneurs in the UK. A popular winner of the revered Yachtsman of the Year award, Geoff is a memorable, powerful and entertaining speaker with key messages to share about ability, achieving difficult goals against the odds, inspiring leadership, effective teamwork and building a successful value-centred business. Geoff entered the history books in 2007 when he sailed solo around Great Britain. Paralysed from the neck down in an accident at the age of 18, Geoff lives by the mantra of ‘no excuses’ and continues to challenge what seems impossible. 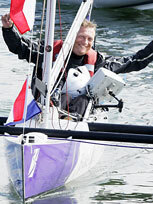 In 2010, Geoff became the first quadriplegic to sail unassisted across the Atlantic a 3,000mile journey. Founded and run by Geoff, Wetwheels is a Community Interest Company (CIC) that operates fully accessible boats to provide boating opportunities for people of all ages and ability. The company offers disabled clients educational and mentoring programmes along with sporting and recreational trips on the sea. My sincere thanks to Geoff for an incredible presentation at our event. His story is truly inspirational and really caught the imagination of the whole room. His drive, spirit and determination had the whole audience mesmerised for the whole session. Please let Geoff know that the feedback was fantastic.